Bar Lupo is a neighborhood Italian pub in River North's booming Gallery District. Join us for strong drinks, great music, red sauce favorite and regional Italian classics. Aperitivo weekdays from 3-5pm. $4 beer and wine; $5 spritzes. Have two! 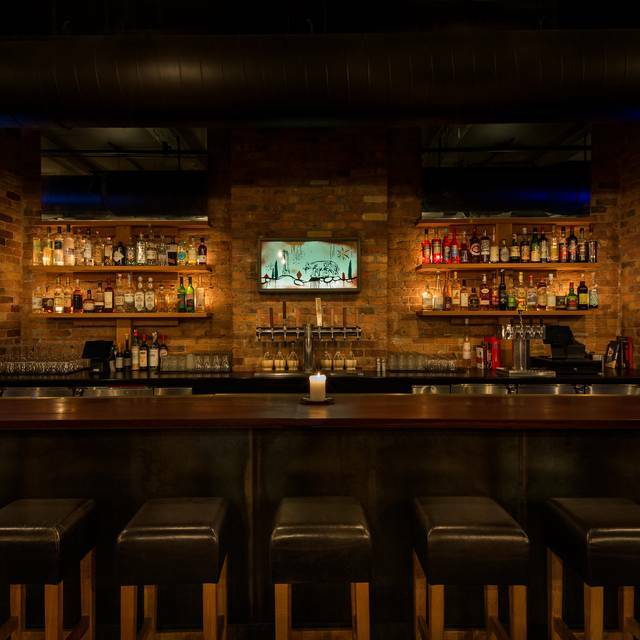 Bar Lupo is a neighborhood Italian pub in River North's booming Gallery District. Join us for strong drinks, great music, red sauce favourites and regional Italian classics. We offer private events + catering for groups sized 2-250. Bar Lupo is an Italian Pub in River North serving decent pasta and red sauce classics. Good Hasp Hour deals; good selection of wines for $4 small selection of beer for $4; spritz for $5. We were not looking for beer so we were good. The food was good; truffle fries great! I had made a reservation for 25 after City Winery could no longer accommodate my birthday party and I am so glad that we came here instead! We had our own room in the back and Hannah was our server... she was literally amazing. Our glasses were never empty and she was attentive the entire evening. She even split our checks!! The food- I have been here before but even my friends keep talking about how excited they are to come back. I personally had the tagliolini and dip in the pot bread. Good portions and such great flavor to each dish. The sorbet that they served for my birthday was great, too! Thank you Bar Lupo for making my birthday such a success!! Perfect for a late bite. Enjoyed house made pastas, appetizers and nice service! Terrible. Food was really bad. Too salty, covered in butter, and overpriced. Surprised that people give this place good reviews. It was empty when we went on a Saturday night, so people must have knew what we found out. Don't go. Please please please bring back the cavatelli! It was so simple and satisfying - well worth the effort. This is becoming one of my favorite spots for happy hour! A really nice surprise! Love the atmosphere and the food was amazing! 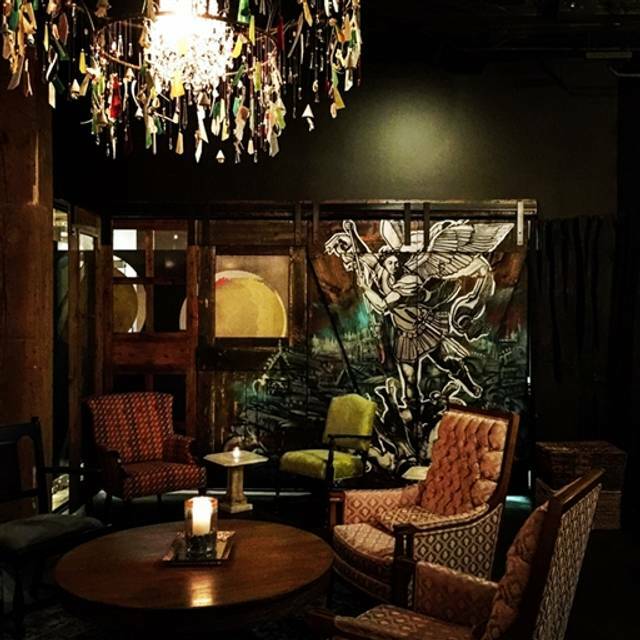 Bar Lupo is one of my new favorite Chicago spots! I recently came here for my bachelorette party. We came in with a large group of 35 people. Bar Lupo was SO accommodating. They truly went ABOVE and BEYOND to serve our group. They dedicated two people to our multiple tables and did an exceptional job at giving each person 5 star service even though there were so many of us and multiple requests every other second. We were heading to a party bus after dinner and they even stored our personal coolers and belongings for us during dinner. The drinks were amazing and I highly recommend the ricotta toast; however, the fried meatballs and seafood pasta were definitely the talk of the party. Our group of 35 Italians loved everything we ordered which rarely happens! Our amazing waitress and bartender even allowed us to split checks... again a group of 35! We LOVED the food, drinks, and atmosphere. 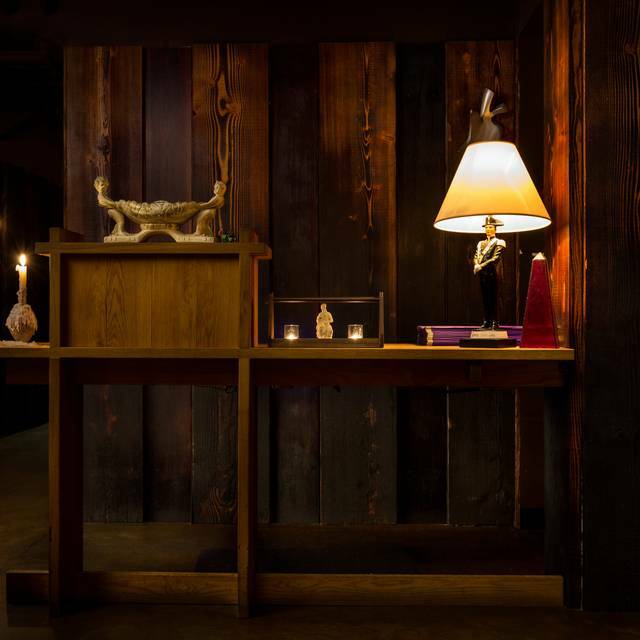 I can’t wait to come back to Bar Lupo on my next visit to Chicago. Perfect for a date night, or dinner with a large group! Weird experience. No one was there. Not a soul except the waitress/bar tender. Food was great. Saw a video of an amazing Bloody Mary on CN traveler so I booked reservations. Was told that video should’ve been taken down 6 months ago. Amazing dip in the pot and entrees! never had a meal so good. dinner was phenomonal with tasty/creative cocktails. service was great and in a perfect location close to bars. will be back for sure! It was dead on a Saturday night, yet service was slow and inattentive. Almost no one was there but we had to continually flag down our waitress to get something. The food was good, but nothing special. The seating is side-by-side, which is not my favorite and, surprisingly, the chairs were not comfortable. 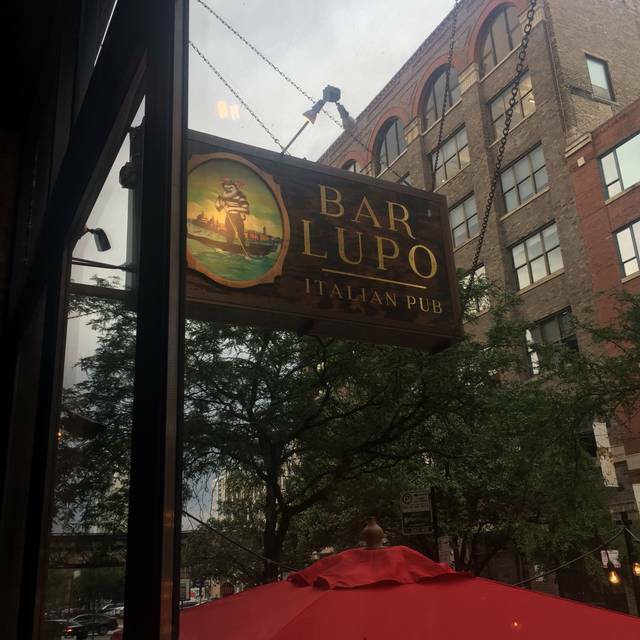 I would not recommend Bar Lupo when Chicago offers so many options that are far better. Service was terrible, our server just kept laughing off how bad it was. The food was ok, but very overpriced for the quality. Wouldn’t return. Ugh... I wanted this to be good. Don’t go, the service and wine isn’t worth the headache. We sat outside, 80% of their tables were full during prime time happy hour while inside what’s completely empty. Outside is a nice place to sit, but the food is over priced and wine is served warm. While we were sitting there we heard at least one bottle hit the ground and break. I've been to Bar Lupo many times and I can always expect something different. I would prefer more consistency in the service and in the food portions. The food portions seem to be getting smaller each time I go. Although the patio may be more casual, I would like to see the servers outside dress up a bit as their attire doesn't really reflect the professionalism and ambiance of the restaurant (way to casual and not insync with the inside servers). The food was very good as usual and I will still go again, maybe not so late in the evening and definitely will not sit out in the patio. Great spot and chill for a Saturday afternoon. We sat on the patio and drank unlimited mimosas for 3 hours. Our server brought us several caraffes (there were 5 of us) and we got sufficiently drunk so it was a good value. The food was good too! It was very crowded outside and there were not enough servers. Hannah was our server. She was fabulous and gave us delicious recommendations! Fun place and yummy eats. Great for bday celebrations!!! The prices on open table did not reflect the prices on the actual menus at the restaurant. We came in thinking we would get a substantial meal for an appropriate price. The prices are way too high for what was provided. We had only one appetizer, one side and one entree and a few drinks and the price was outrageous. The food was lackluster as well. I wouldn’t return if I was actually hungry. The wine was overpriced, the pasta not drained well, and the presentation lacking. 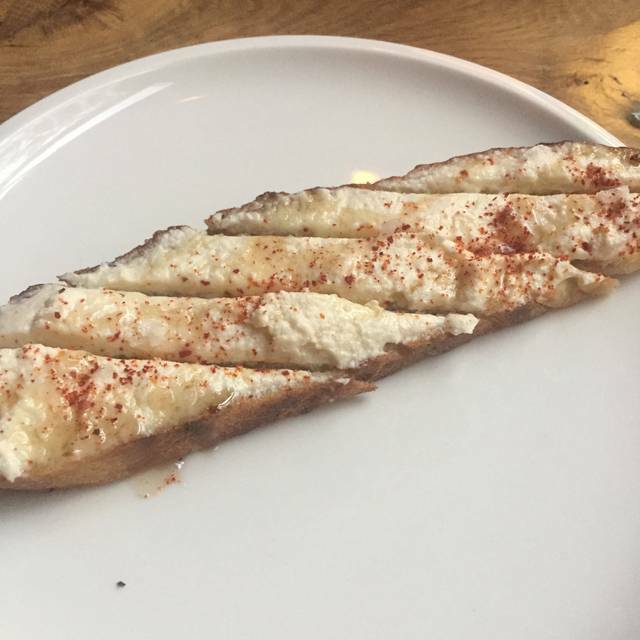 The bread was too hard and made for a subpar dining experience. Will not be going back. Jamie was great and very accommodating to my large group of gals! We really wanted this place to be amazing. The decor was fun. The food looked (and tasted) amazing. Our waitress, though, was horrendous. After drink orders, I told her that we were on separate checks (only a party of 8, not insane) and she made it seem like I had just completely inconvenienced her with the request. We saw her every 30 minutes (maybe) if the FOUR hours we were there unintentionally. When I asked for appetizer tips, a couple we could share, she said she could put a sampler together and then ordered 4 appetizers on our behalf. I spent $50 that I wasn’t expecting to on that alone. When we were done, we waited an hour to get any attention from her. Then she told us she had 8 tables outside, who apparently were waaaay more important than we were. She finally collected our cards and then charged us for the wrong amounts, saying that she didn’t do gratuity right. Next thing you know, she’s increased our auto gratuity from 18% to 20%, as if to say WE were the annoying ones and she somehow was deserving of tips for work she barely did. Beyond that, she tried running my card.... three times before thinking something might be wrong.... I got a fraud alert. Duh. Bar Lupo, Jaime (or whatever her name was) is not the face of your restaurant that you seek. Maybe a little customer service training is in order. Food and wine were fantastic!! Though it did take 20 minutes to get our wine and it wasn't that busy. Food is outstanding, Hanna our server was very helpful with recommendations. Would highly recommend and return on our next visit to Chicago! Table of 20 people so we were seated in the back room, which fit everyone comfortably but the noise level in the small space was high. Also it got stuffy with so many bodies in the small space. Service was good. Appetizers were awesome. Burger was delicious. Cool atmosphere and good drink specials. I reserved this restaurant for a bachelorette dinner, and everyone loved the vibe of the restaurant! The cocktails were so different and good, while the food was amazing. Highly recommend! An unexpected gem for lunch in the river north. Delicious food and solid service. Overall a very satisfying experience. I will certainly go back for dinner. 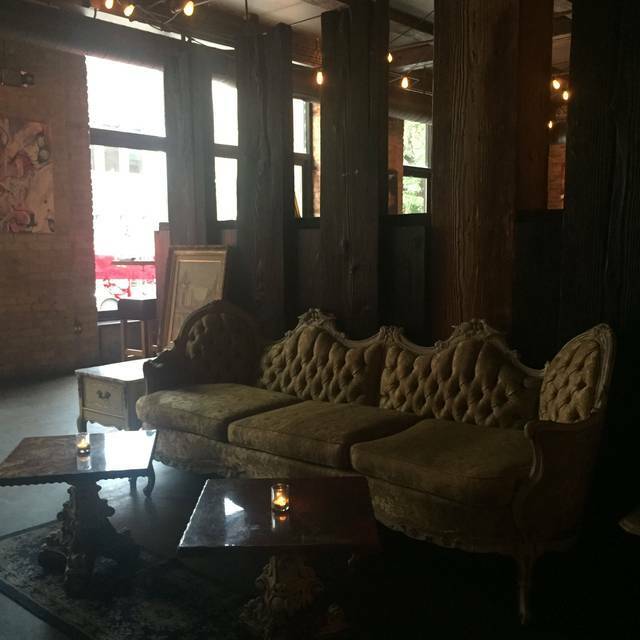 Love the ambiance - very comfy. Cocktails are well done. Bar Lupo has probably the best minestrone I've ever had - absolutely delicious - light, flavorful, and really clean tasting - not muddled or heavy in the least. I like this place - it's easy, tasty, close to my work. My only hesitation for not going more often is that it is pricey for what you get - especially the starters. Pricier than comparables on the food. Drink prices are market - no complaint there. 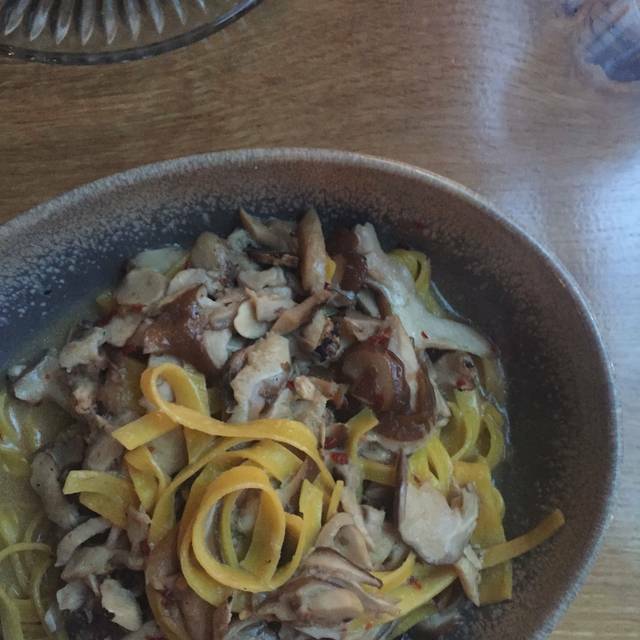 Their truffle pasta is AMAZING! Highly recommend this place! This was a great meeting spot that is quiet and accessible to transportation. The staff was very nice and helpful. The food was good. We enjoyed our time there. Great food, been a couple times and only had a couple things off the menu but they've been phenomenal, which keeps me coming back. The service is always excellent as well, from that host to server, bartenders, and bus boys that come in between. 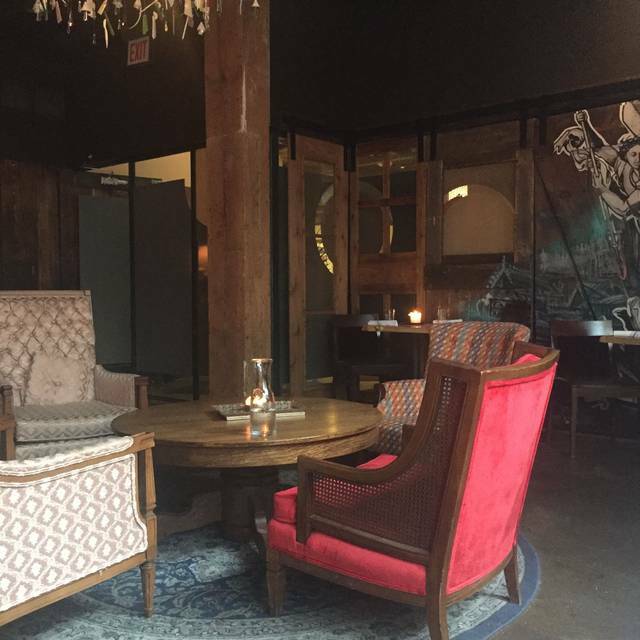 A very lowkey location but Definitely a great find in river north. 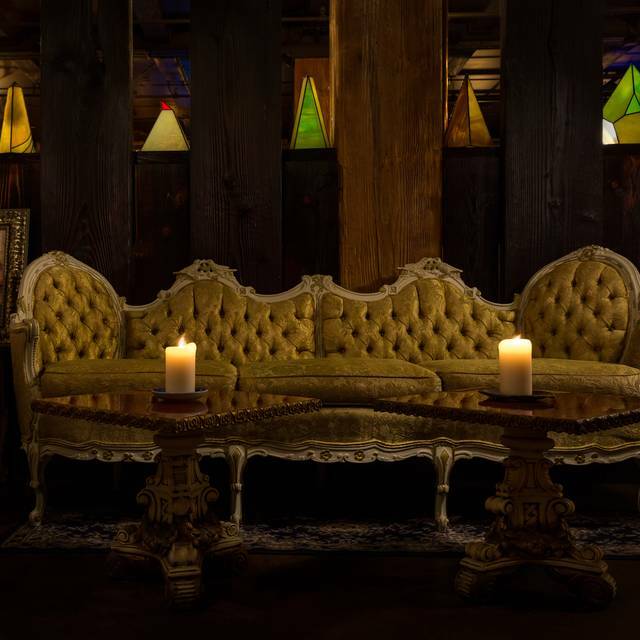 I like the dark atmosphere and the cushy surroundings of Bar Lupo it’s the perfect date night spot and very conveniently located. I wish it were more crowded actually - I feel like it’s kind of an unknown gem in the neighborhood. Bottomless mimosa brunch, plus incredibly tasty food. The place was empty, but I believe this is because google shows them as closed on Sunday’s, which they’re not. Will definitely come back!